A study of the creative tensions embedded in four separate friendships between artists and the effect of those tensions on their art and the Modernist movement. It does a disservice to Mr. Smee’s complex analysis to reductively seek a common denominator in these four cases. But it’s still striking that in all of them, one artist envied another’s boldness and almost animal impulsiveness, his quickness to act ... It’s the Matisse-Picasso chapter that fully delivers the adrenaline expected from rivalries. The rest of this engrossing book reads like high-end art history; this section also reads like sports ... Mr. Smee’s skills as a critic are evident throughout. 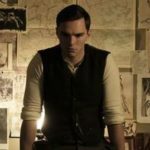 He is persuasive and vivid about the art itself. Thanks are due to Sebastian Smee, the Boston Globe’s Pulitzer Prize-winning art critic, who with novella-like detail and incisiveness opens up the worlds of four pairs of renowned artists ... Each of his portraits is a biographical gem, deftly taking social milieus, family backgrounds, and the art controversies of the day into account ... Smee’s vivid, agile prose is especially good at evoking the temperaments of the personalities involved ... his chapter on Freud and Bacon is a marvel. Despite their whiteness, these are eight colorful men, and Smee efficiently lays out the relationships — where each was in his career when he met the other, what that connection meant, how their friendship ripened and often soured — no small feat considering the lives at hand ... Smee’s focus is on the role of a particular kind of intimacy as creative fuel, and so his choice of an all-male cast for his book makes sense in this context ... The book’s straw man is the academy. Textbooks, Smee argues, ignore intimacy. But as he is also forced to note, there have been a number of scholarly books and exhibitions that explore competition as a productive agent in modernism. 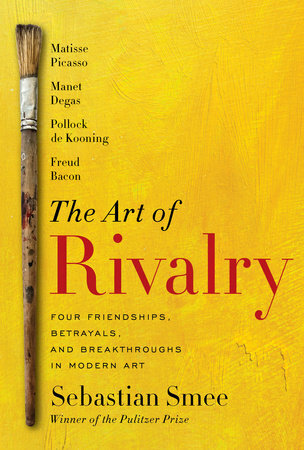 What did you think of The Art of Rivalry: Four Friendships, Betrayals, and Breakthroughs in Modern Art?